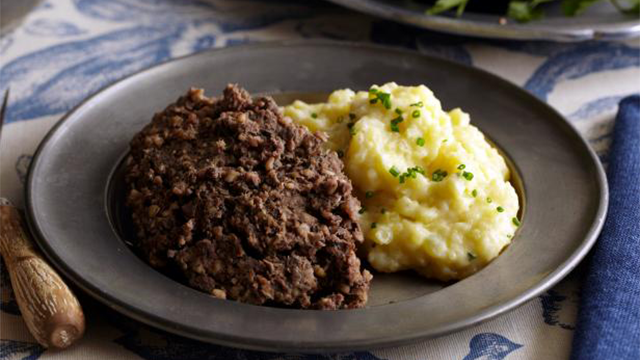 A Feast for Burns Night – Zero Equals Two! Tonight is Burns Night, a celebration of the life and poetry of the Scottish poet and lyricist Robert Burns. Born 25 January 1759, Burns is widely considered to be the national poet of Scotland. He is known for “Auld Lang Syne,” “Scots Wha Hae,” “A Red, Red Rose,” and “Ae Fond Kiss,” among his many poems and songs. Burns Night is celebrated with a Burns Supper, accompanied by piping and poetry. Piping in Guests — bagpipe music. Grace — Selkirk Grace is often used. Soup course — choose one or two recipes. Haggis — accompanied by a reading of Address to a Haggis. Whisky toast — to the haggis. Optional fish course — whisky-cured salmon is ideal. Dessert — cranachan followed by oatcakes and cheese. Immortal memory — a speech about Burns and/or a recitation of a poem or song by Burns, followed by a toast to the Immortal Memory of Robert Burns. Works by Burns –recitation of poetry or songs by Burns. Glad you’re spreading the word about Scottish traditions! Thank you for including my Cranachan recipe, too! Happy Burns Night to you!